Evolution Gaming has today announced a partnership with the Hard Rock Casino in Atlantic City, New Jersey. 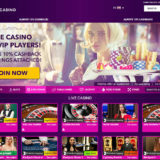 They will be providing Casino guests and residents of New Jersey with access to online Live Dealer games. This will increase the number of casinos and suppliers providing legal live dealer games to US residents. 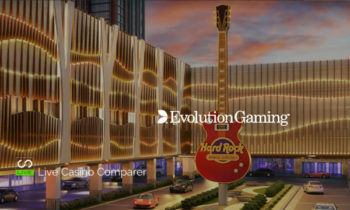 What’s not obvious in the press release below is Evolution has built a new studio to stream all the games from and it’s located at the Hard Rock. There’s been conjecture for a while following the various announcements by Evolution about the new studio, but no firm details were ever given on it’s location. I can confirm that it’s at the hard Rock and will probably be officially opened prior to the full launch very shortly. I’m still no clear on whether the studio games will be playable by European players, but it’s been confirmed that the Dual Play Roulette tables will be. 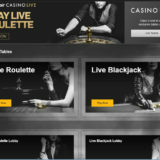 The new property’s online Live Casino service will go live in summer 2018 with a comprehensive line-up of Evolution live tables. 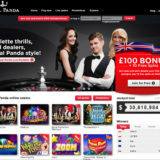 These will include American (Double Zero) Roulette, Blackjack with side bets and Bet Behind, Baccarat, Three Card Poker and Ultimate Texas Hold’em Poker, plus automated Slingshot Roulette. Players will be able to enjoy all of these live games, which are proven in Evolution’s European markets, on desktop, tablet or smartphone. In addition, Hard Rock Hotel & Casino Atlantic City will launch three dedicated Evolution Live Blackjack tables that will be exclusive to their own players and will also host an Evolution Dual Play Roulette table on their main gaming floor. 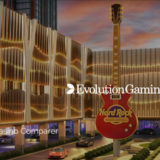 The Dual Play Roulette table will also be made available to Evolution’s European network of operators, allowing their players to place their bets at this Hard Rock table, alongside on-premise players.